I got fed up of my old 1995 Webpage. The fact that most of it was a decade out of date didn't help. I've thrown most of it away and kept the bits that might actually link somewhere useful. However, I've got a bunch of stuff in my public-html directory, and I'm trying to add links to all that, since Google loves chiark. I did the End to End (Land's End to John O'Groats, the classic British cycle tour) in September 2004 and here is a writeup. 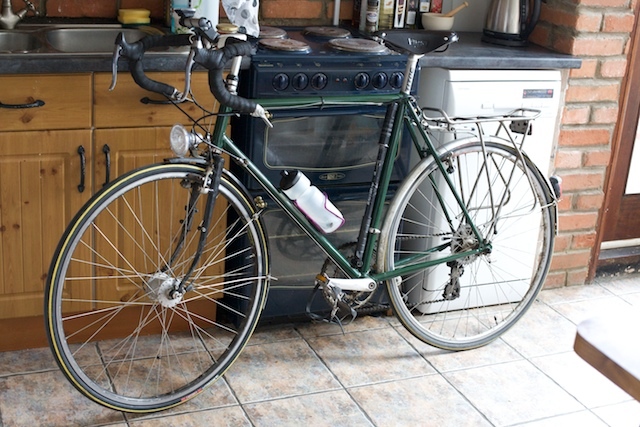 I wrote something in 2004 about what equipment I used when I was commuting over 100 miles a week by bicycle. It is somewhat outdated now, of course. I also wrote about dynamo lighting, but modern LED headlights have made such radical changes the advice there may be of little use. Writeups of various audax rides I have been on. Audax is long-distance non-competitive endurance cycling. 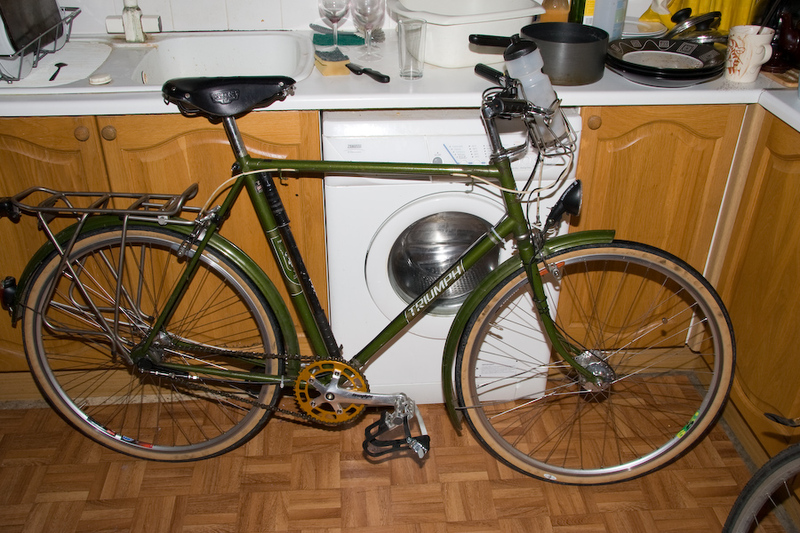 Pictures of my 1991ish Orbit light tourer, which I suppose you would now call an audax bike, and my 1960s? Triumph roadster, which is really a rebadged Raleigh. A guide to punting. Punts are the flat-bottomed boats that are used recreationally in Cambridge (and Oxford). Propelling them is a bit tricky. DungeonQuest in 3D, an attempt to salvage something from the rather unsatisfactory Catacombs expansion for Dungeonquest. Federation Commander Madness, an unsuccessful attempt to improve Federation Commander with bits of the Star Fleet battles rules and other miscellaneous ideas; and an earlier attempt. The dictionary for Popham's telegraphic signalling code, as used by the British in the later years of the Napoleonic Wars. It's here because of possible application to Close Action, a game of naval combat in the period. Notes for Twilight Imperium III; rules clarifications, optional rules I do and don't like, and house rules, all mashed together in one confusing lump. A guide to playing Illuminati, a game of treachery and deception. Observations on the changed tile mix in 1853, probably only of any use if you want to play 1853. Why writing a NetHack bot is impossible, or at any rate much harder than the Angband Borg or Rog-o-matic. I was wrong about it being impossible, it seems; the TAEB bot makes much more progress than I expected. I'm wrong about lots of things, though; in 1993 I thought the Web would never amount to much. The NetHack Object Identification spoiler, a guide to identifying objects in the classic roguelike NetHack, and a short cribsheet for item prices and types. Spell failure chance analysis for NetHack 3.4.3. The 2005 NetHack tournament, back when I still played regularly. Why I am not an Angband player, except that these days I am. I think the 3.x versions of Angband have improved the game enormously, obviating many of my gripes. In 2010 I entertained the idea of writing a roguelike, Montresor. I've done little with it since, but have some screenshots anyway. Roguelike Defence, a writeup of an idea I had. I realise that in free games development, other people's ideas are about as welcome as horse dung, but there it is, anyway. Our tactics manual for Starship Artemis, a multiplayer co-operative game where the players are put in the role of officers on a space-opera starship bridge. A postmortem for City of Heroes which I wrote shortly after the game was shut down by NCsoft at the end of December 2012. Don't forget; never give NCsoft a penny. Why I don't use Steam. A guide I wrote to difficult missions in GTA: San Andreas. An incomplete guide to difficult missions in X-Wing. My Doom level, WOODHAL2, written in 1994 back when Doom editing was in its infancy. It's not very good, but it was included in the 1994 tune-up exercise where old levels were re-edited for modern tastes; to my knowledge, I was the only original editor to participate in the thread. I also started a sequel to WOODHALL, CTHEMPLE, which I never finished, but one or two bits - particularly where one first sees the entrance to the ruined temple - I'm rather pleased with. Last but not least is ROCKET.WAD, for four-player deathmatch on E2M8; I invented the rocket arena (as I'm sure did lots of other people, independently). Don't play it with nomonsters, let Simon the Cyberdemon join in the fun; and don't play with a modern client that allows vertical aiming - rockets stay in the plane of the players, but a direct hit is necessary if someone isn't near a wall. The Weighted Companion Cube has no emotions, but if it did, it would have enjoyed this trip to Whitby. Pictures of a rather unusual Christmas cake. Injustice has a new enemy. A fearless superhero who has no need of a silly costume. It's... Naked Man!. He's not very work-safe. Cambridge's favourite largely nonexistent band, Elder Sign, could still use a mention. The birthday calendar, a modest proposal for calendar reform. A book proposal I sent to O'Reilly. Problems with Overclockers UK's returns department, and how to get the right response. In the cab of No. 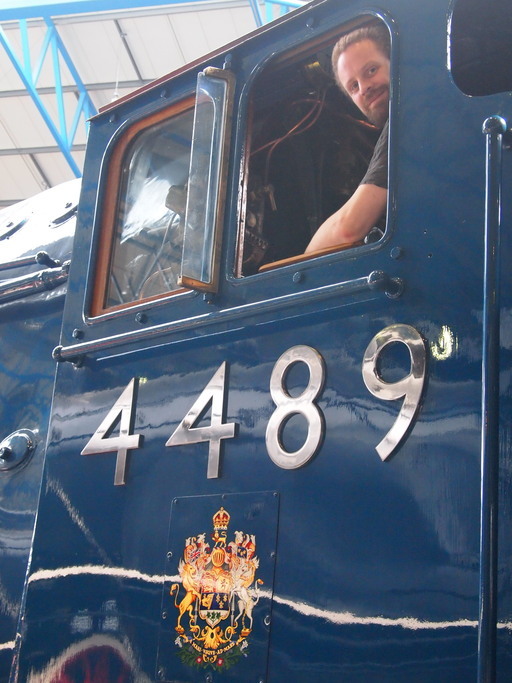 4489 Dominion of Canada, and on a trip to York with No. 70013 Oliver Cromwell. On a work trip to Denmark. Having beer for breakfast, although in one case I have just been riding a bicycle all night so have an excuse. With a recently broken jaw. These ones aren't very nice. On the World Naked Bike Ride in 2008, 2010, and 2013. Obviously, these pictures are not work-safe, because there are naked people in them. My email address is damerell@chiark.greenend.org.uk.